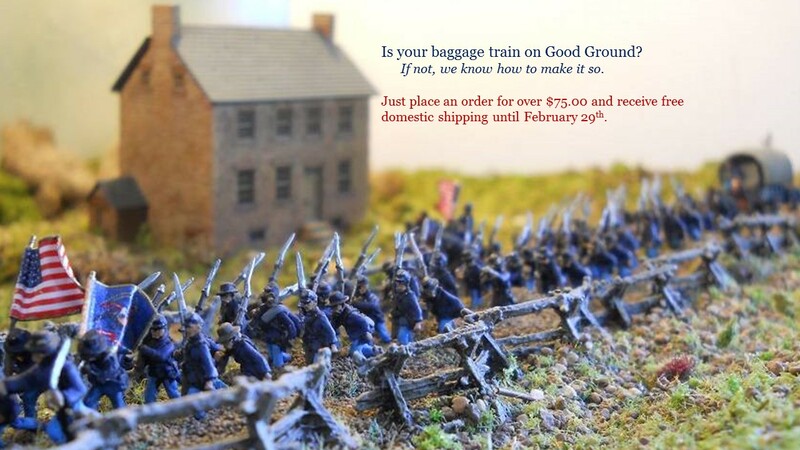 Order $75.00 or more of Good Ground Merchandise and receive free domestic US shipping until February 29, 2016. Put your Baggage Train on Good Ground! Limber teams at the gallop now available in Kepi. These are already on the site and may be purchased today. Confederate infantry now available in Kepi both marching and firing. These are already on the site and may be purchased today. Slovenly Yanks just before the big surprise attack at Shiloh, Chancellorsville or Cedar Creek! Surrendering, skedaddling and casualty figures. 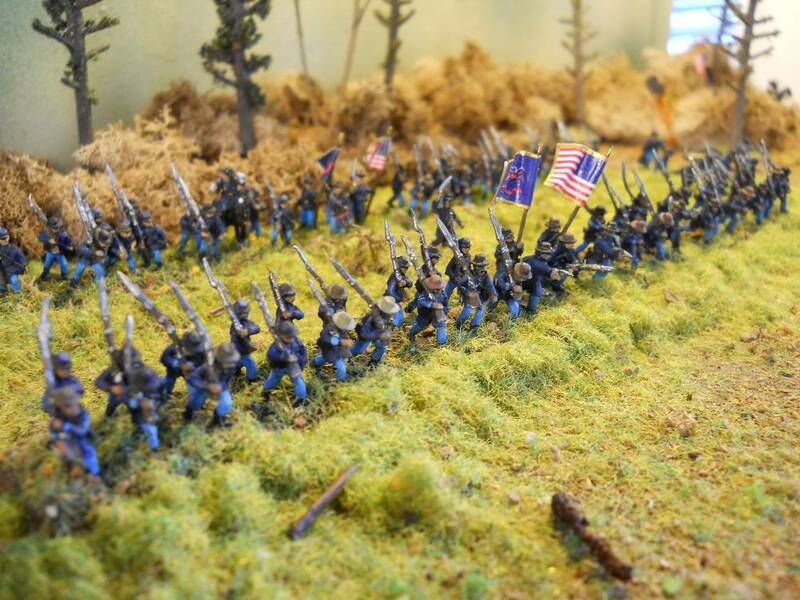 Charging Rebs and Yanks character sets modelled after Hood's Texans and the 20th Maine. Chamberlain is included and the CS Officer was modelled after Lewis A. Armistead. While not in the Texas Brigade, the pose was irresistible. 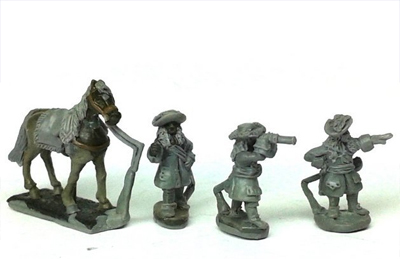 Come see all the great new 10mm figures from Good Ground Miniatures on our site. With the amount of interest and demand for the upcoming 10mm League of Ausgburg releases, in a first for Pendraken we've decided to put them up for pre-order! As well as allowing you to get your hands on them as soon as they become available, this will also mean that you can buy them at current prices, before our impending price increase takes effect. Timescales on receiving the figures shouldn't be too long either. If we receive the sculpts here in the next fortnight we'll get them master moulded straightaway and into production moulds, so the estimated date for shipping will be before the end of February. That's certainly not too long to wait for these fantastic sculpts! Also, if there's anything else you would like to order at the same time, we will hold those items until everything is ready. If you would like us to send your order in two separate packages instead, please let us know. First Release Of The Year! We're only a week into the new year and it's time for our first release of 2016! This excellent wooden bridge comes in 5 sections (2 ramps / 2 walkways / 1 support), measuring 145mm long and and 30mm wide across the bridge itself. The ramps can be used with a single walkway to create a shorter span as well. Last year was a very productive one for us and we've got a lot more planned for 2016. 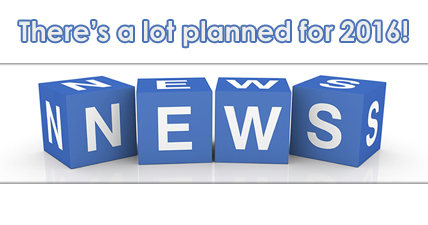 There will unfortunately be a price increase coming as well, so head over to our Forum to read all of the news.